Is Your Franchise System's Supply Chain Bullet Proof? Chipotle depends on a more complex supply chain for its 1,900 outlets that includes scores of small, independent farmers. That can lead to ingredient shortages and questions about food safety. Chipotle is fresh -- and suddenly, that's a problem. Members of Franchise-Info weigh in on the topic. Joe Caruso Did an FDD - Franchise Disclosure Document tell enough about the franchise system's supply chain sourcing & standards? Shawn SpencerJoe thanks for posting this. 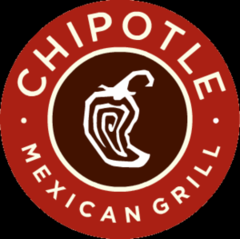 When franchise concepts start evaluating local supply chain, as did Chipotle in 2008, the variables become very complicated. The new buzz of "Locally Grown" can be a risk when the due diligence is left to the the sourcing executive alone. Locally grown food can actually contain more pesticides, toxins, and genetically modified produce with no validation of safety and crop lot tracking. Most small franchise companies rely on the main line suppliers to fix this problem and don't have the budget to do research. As millennials demand cleaner food supply, the local organic/naturally certified regional farms and suppliers will be the future of clean food/safety for restaurants. The brands that embrace this will have greater odds of success even though its more challenging. The FDD would be a great place to start to bolster transparency in supply chain. The Next Gen of franchisees will certainly demand the transparency from farm to franchise. From a risk standpoint the current FDD regime doesn't say much of about the supply chain other than telling prospective franchise owners the franchisor's purchasing requirements and how to get a new supplier reviewed. Michael (Mike) Webster Chipotle would do well to review the history of hamburger, and the creation of standards and policing by Kroc, McDonalds and GFD in the early 1960's. Shawn SpencerI Agree. Many times we also see disconnects between the FDD & FA language specifically inserted for protection related to the Ops Manuals that go uncheck or get updated over time with the lack of legal review. The other real culprit is the lack of adoption from ops manual standards to training implementation. Chiplotle and others should remember and review what happen to Jack and the Box in the early 90's and their recovery. Joe Caruso Yes the misalignment of FA and operations manual is more likely to happen with early stage startup franchisors. Michael (Mike) WebsterHere in another aspect to the problem: lack of use of proper checklists. Daniel Blumenthal Shawn hit the nail on the head. The romantic notion of the trendy "local" tag does not always account for quality, and at a franchise system level it can make standards very tough if not impossible to maintain and enforce. I can see it working well through development of well-researched and maintained key regional relationships, but the bigger the system the harder it is to keep an eye on those regional producers. Joe CarusoHi Jeff Nave what do you think about this? Michael (Mike) Webster@Daniel - what responsibility do you put on your franchise operators to test the supply chain safety & what tools do you both require and recommend that they use? Daniel BlumenthalMike, there are detailed practices with regard to checking product upon receipt, and food safety protocols that help identify when to stop using a product. But from what I understand, this was a problem with the supply that might not have been detectable at the store level. Lettuce that is tainted with e-coli, as I understand it, is something that has to be caught at the farm/distributor level. We seek out trustworthy food distributors and establish those relationships. Michael (Mike) WebsterDaniel, and what is your view about this lengthy piece in Bloomberg?